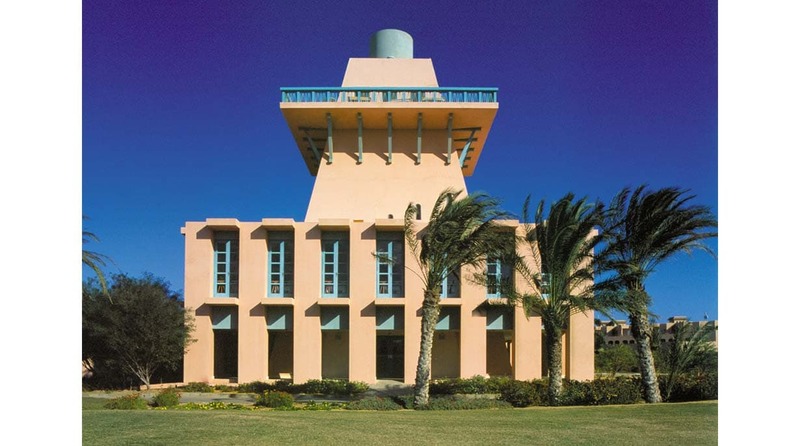 The El Gouna golf course, interwoven with a series of seawater lagoons along the Red Sea, encircles a peninsula where the Steigenberger Golf Hotel and a villa development are located. Since the area is relatively flat, the golf course architect suggested that the Golf Club feature a marker in the landscape to orient golfers to the starting and finishing holes. We created a distinctive building — a truncated pyramid — adjacent to the clubhouse, which rises from the landscape and sits on axis with the Golf Hotel across the lagoon. It contains a restaurant and outdoor viewing terraces at the top. 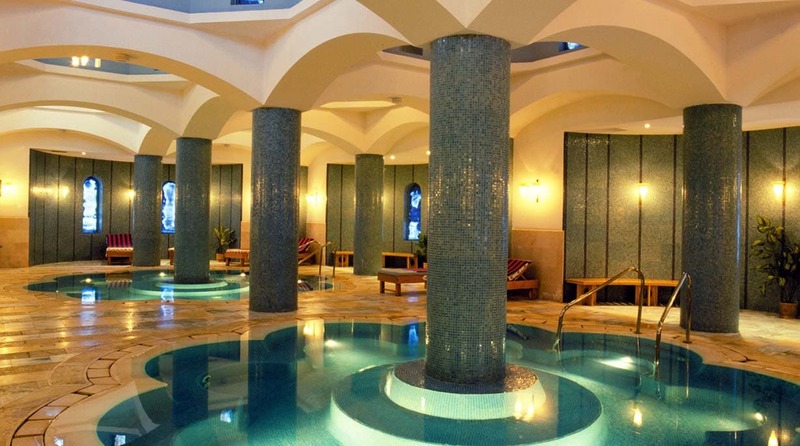 On the lower level, a distinctive spa delights guests with its vaulted, luminous Turkish baths and mosaic-tiled pools lit by clerestory windows. The villas were designed for people seeking casual vacation and weekend golf retreats. Since the villas would be constructed as sold, we designed six different villa types ranging from 2,000 to 3,000 square feet, with options for adding bedrooms, servants’ quarters and parking garages. We organized the living areas around outdoor terraces, swimming pools and gardens to create an easy, relaxed flow between the interiors and the landscape. 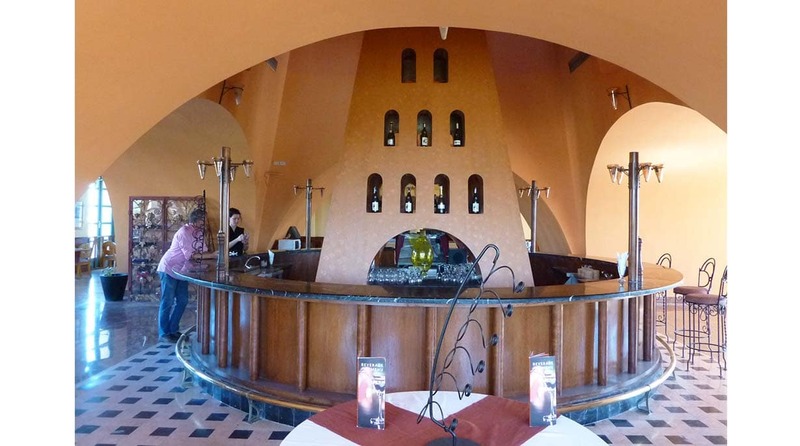 As with the hotel and resort, the architectural character recalls traditional Egyptian rural architecture, rooting the owners’ experience in the spirit of the region.